Digital communications & internet have brought great advantages, even for traditional technologies still surviving in 2010. 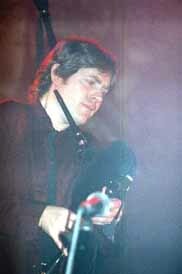 Conventional radio broadcasting is one of the most benefitted. The old analogue radio stations have now a second life where they can be in direct contact with their audience in real time via webcam, e-mail or the social networks. Some of them can also transmit their programs via satellite or over the www and reach their fans in every corner of the earth. Or they can have their own web page where anyone can access the archive of live and past programs, get visual files (pictures or videos) and download their podcasts at any time. The same applies to television. 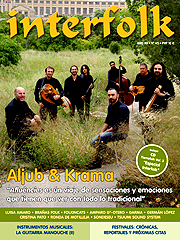 In this article we introduce Radio & TV programs from Spain dedicated to folk and world music. Both of them offer a good number of programs, providing a fair balance between the world music from the Atlantic lands (mostly on the Galician channels), and the one from the Mediterranean, Africa, East (on the RNE programs produced in Madrid & Barcelona). RNE (www.rne.es) is the radio broadcasting system that belongs to Spain’s national entity RTVE (Radio Television Española, www.rtve.es). Their analogue & digital terrestrial radio & TV channels cover the entire territory of Spain : in the Iberian peninsula, the islands (Balearic & Canary) and the cities of Ceuta & Melilla on the North of Africa. They also broadcast via satellite and in the internet. It is a state-owned public broadcasting company, which means significantly subsidized by the Spanish government. Unfortunately, as of today (2010), TVE, the set of Spanish national television channels (www.tve.es), have a quite limited & scattered offer of music programs, mostly recorded concerts (even worse when we are talking about world & folk music). On the other hand, RNE radio channels are doing much better, and there is specially one which is the refuge for the Spanish popular music fans: RADIO 3 (www.rtve.es/radio/radio3). This channel was created in 1983, in the days when a young generation of mostly rock & pop musicians were exploding with new initiatives & seeking their own space, most times independently from the big national & multinational record companies. But RADIO 3 has always tried to make a balanced split for the different styles of popular music on the grill, having programs for: rock&roll, blues, reggae, pop, techno, funk, latin, jazz, new age, traditional, folk, world, flamenco, country, techno, hard rock, rap, ... 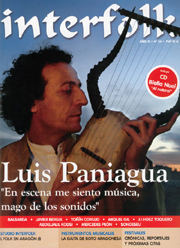 The RADIO 3 programs dedicated to world music are grouped in the web page under the general category : ‘Músicas del Mundo’ (www.rtve.es/radio/radio3/musicasmundo). Iñaki PEÑA : He had a great program, TREBEDE that since the mid-late 1990s has been openly supporting all kind of initiatives related to folk music taking place in Spain & Portugal, but also to activities related with nature, ecology, world peace,... Iñaki’s program even promoted a club (Los Errantes) that organized a number of folk music festivals and other events in different parts of Spain. 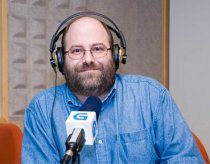 Diego MANRIQUE : Probably his starts on music journalism were mostly on pop & rock music, but he also dedicated time to the popular music from many places of the world in his program EL AMBIGÚ. Unfortunately these journalists will not be the last ones to leave RNE. The reasons why they have to go earlier than expected are not always clear for the audience. It is known that the corporation needs to reduce costs. The fear is that in the long term, such kind of policy could be heading towards more standard, more cost effective & commercially profitable type of radio programs, mostly oriented to the ‘mainstream’ music & culture. Then, today’s support to independent musicians, the promotion of alternative cultural activities, and the attention to music such as folk, world, jazz, flamenco, country, ... could be significantly diminished. RADIO 2, RADIO CLÁSICA (www.rtve.es/radio/radioclasica) : With programs mainly on Classical, Jazz & Trad music. RADIO EXTERIOR DE ESPAÑA (www.rtve.es/radio/radio-exterior) : International broadcast with programs on music & different subjects. 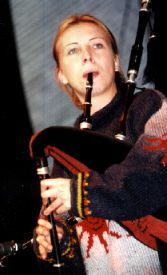 The following list mentions around 20 programs relevant for folk & world music. They are regularly broadcasted by RNE in 2010. You can get access to their respective web pages thru the program URL, and then just search & click on their Podcasts. Regarding choices for languages, you’ll have to make an effort to start getting familiar with Spanish. DISCOPOLIS is one of the most veteran world music programs in RADIO 3. 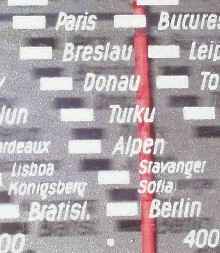 It began in 1985 with the name DISIDEN-3, a tribute to the German authors of ‘Fata Morgana’ & the Ethno-beat sound. Today in 2010, it has been broadcasted close to 8000 times. José Miguel LÓPEZ has covered a broad spectrum of popular music styles, ranging from jazz & classical to rock & pop, but with a main focus on : world, folk, traditional, flamenco, medieval, tango, latin, ... 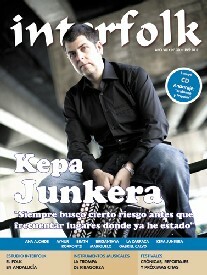 He has also interviewed a large number of artists from Spain and many other countries. 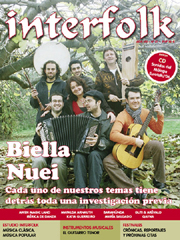 José Miguel LÓPEZ has also directed the edition of CD compilations about Spanish folk music, produced by RADIO3/RNE. 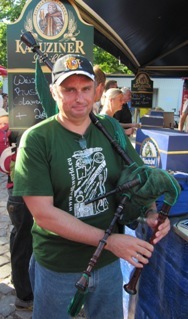 He is a participant in the yearly voting of the ‘World Music Charts Europe’ (www.wmce.de) coordinated by Johannes THEURER in Berlin. 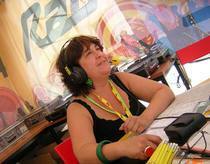 He also attends a number of European world music events as official representative of the Spanish national radio RNE. 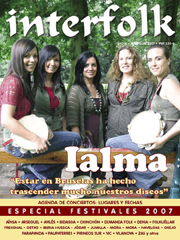 LA TARATAÑA (formerly named IBERFOLK ) is a program mostly dedicated to the folk & traditional music from Spain and a bit of our peninsular neighbour, Portugal. Manuel LUNA is also a veteran folk singer & guitar player, born in Cantabria (North Spain, between Asturias and the Basque land), but having lived for quite a while also in Andalusia & Murcia (southern Mediterranean coast). 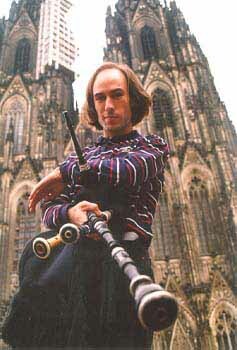 The music that he has performed with his bands LA CUADRILLA MAQUILERA and BRENA LA MÚSICA, has accumulated musical experiences from all corners of Spain. This is also very well reflected in the character of Manuel’s radio program, very open to broadcast music & interviews to Spanish folk artists from many parts of the country. Their program is focussed on world music from all parts of the planet. Songs & interviews of musicians from many places. This program is focussed on traditions, on the purest roots of the popular music from all parts of Spain. The presenters use as documentary resources the compilations of recordings done on the 20th century, by record companies, and musicologists such as Manuel GARCIA – MATOS or Alan LOMAX. Program specialised on the music of oral tradition from all parts of the world. Program specialised on Brazilian and Caribbean music. Program specialised on Caribbean, Latin & Brazilian music. Program dedicated to the popular music from Argentina (mostly tango & milonga), and its connection & parallelism with the music in other places in South & North America and Europe, but also describing the historical & sociological context in the past 20th century. Program specialised on Flamenco music but with a modern perspective, and also checking its connections with other styles of world, jazz, rock & pop music. Program specialised on the most traditional Flamenco music. 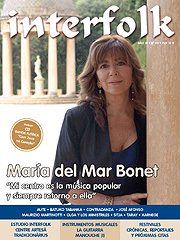 Program specialised on Flamenco music and related events. Program specialised on the music of the Gypsies from all parts of the world. Program conducted by another great specialist on many styles of music : world, folk, jazz, classical,... Lara LÓPEZ is also a permanent member of the panel of experts of the ‘World Music Charts Europe’. She has worked before in a number of other programs in RNE, and has also participated in BBC Radio 3 programs. For example in Lucy Duran’s ‘World Routes’ & Charlie Gillet’s ‘Saturday Night’. RADIO 3 has broadcasted & recorded a large number of live concerts on all kinds of music, of course including also world, folk, etc. The autonomous community of Galicia has its own broadcasting system (www.crtvg.es), which is taking really good care of their traditional & folk music, both on the radio and the television channels as well. The CRTVG web page contains very interesting programs, although the navigation through its menus can be tricky. Below you will find the key programs both for radio and TV, and sequences of steps to get access on the CRTVG web page. They have at least 4 radio programs on folk & world music, and even a channel dedicated to broadcast all kinds of Galician traditional & folk music non-stop 24 hours/day. 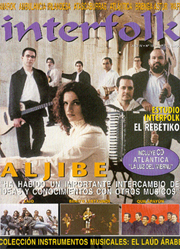 The Galician TV has at least two programs regularly broadcasting traditional & folk music. But they also emit a good number of concerts (sometimes recorded in studio) : artists from Galicia, the neighbour Asturias and a number of other places. That is a lot more than can be said about the Spanish national TVE. 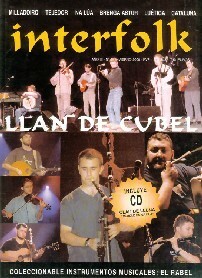 A program containing : talk-show, humour, sketches, monologues, ... but also quite a few Galician folk & trad music bands. Photo Credits: (1) Radio scale (unknown); (2) RNE logo, (3) Consol Saenz (by RNE); (4) Eliseo Parra, (5) Llan de Cubel, (6) Mercedes Peon, (7) Aljibe, (8) Kepa Junkera, (9) Ialma, (10) Maria del Mar Bonet, (11) Aljub & Krama, (12) Luis Paniagua, (13) Biella Nuei (by Interfolk magazine); (14) CRTVG logo, (15) Emilio Espanadero (by CRTVG); (16) Carlos Nunez, (17) Xose Manuel Budino, (18) Susana Seivane, (19) Hevia (by The Mollis); (20) Pio Fernandez (by Walkin' Tom).